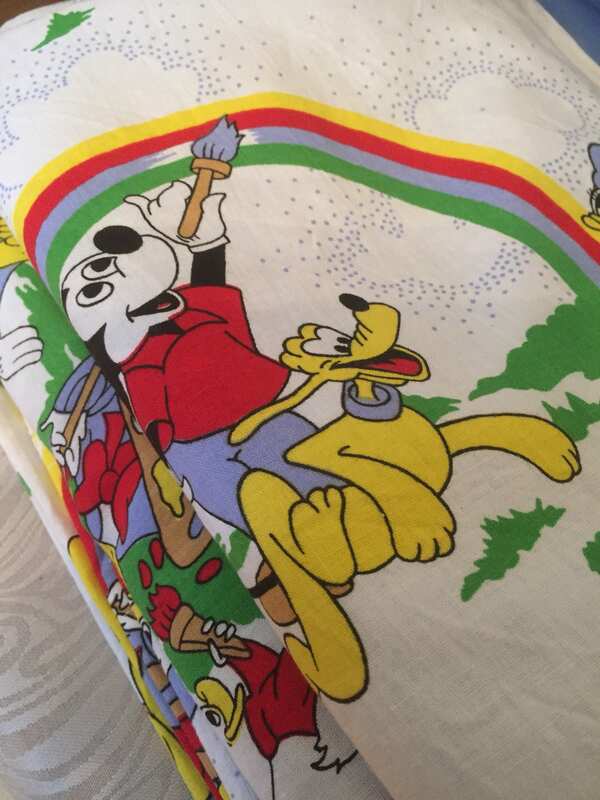 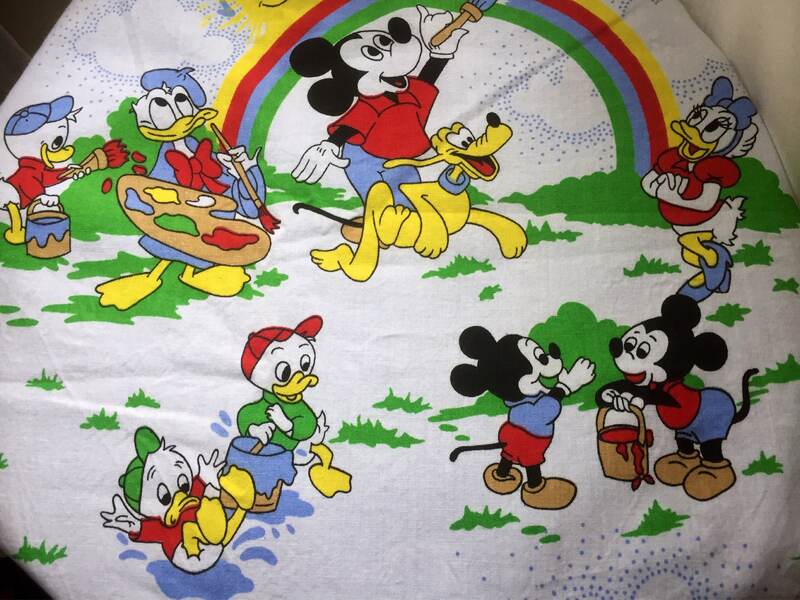 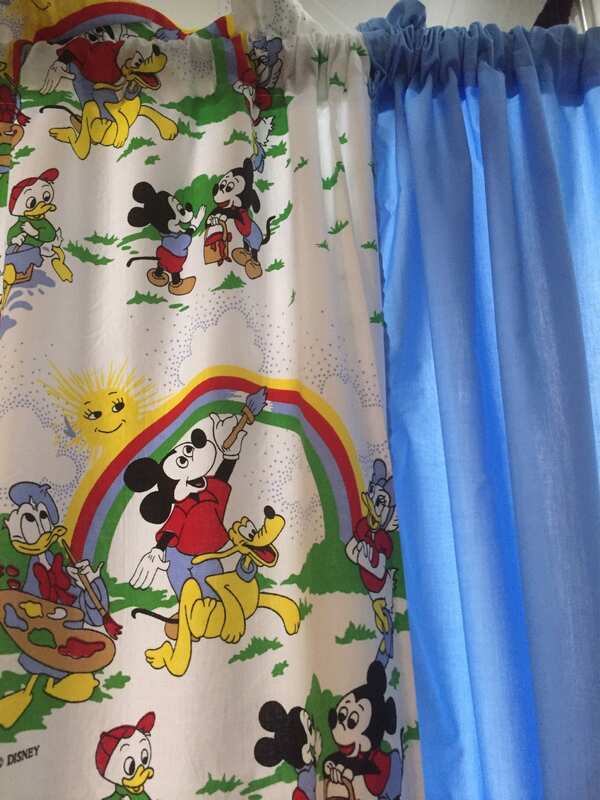 These are 4 panels of vintage Mickey and Friends rainbow 100% cotton curtains. 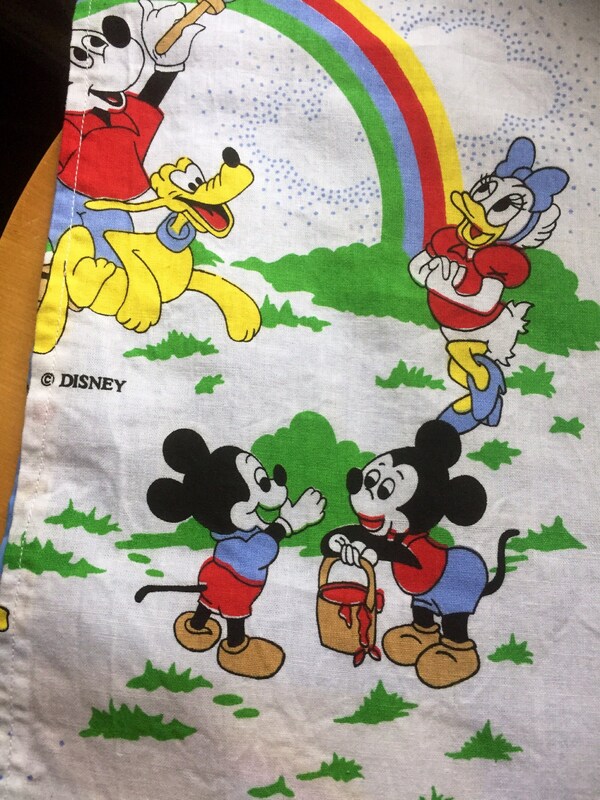 I am selling both sets together. 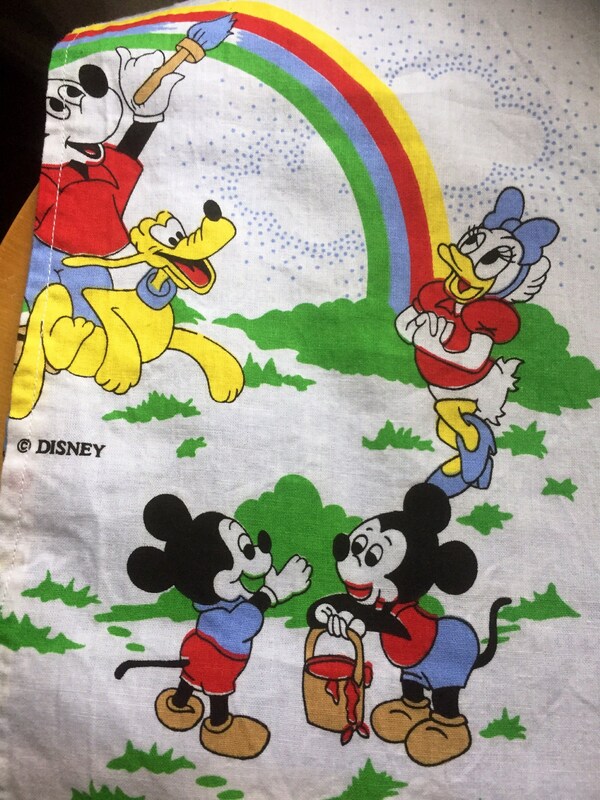 They are in excellent vintage condition with no fading, marks or rips. 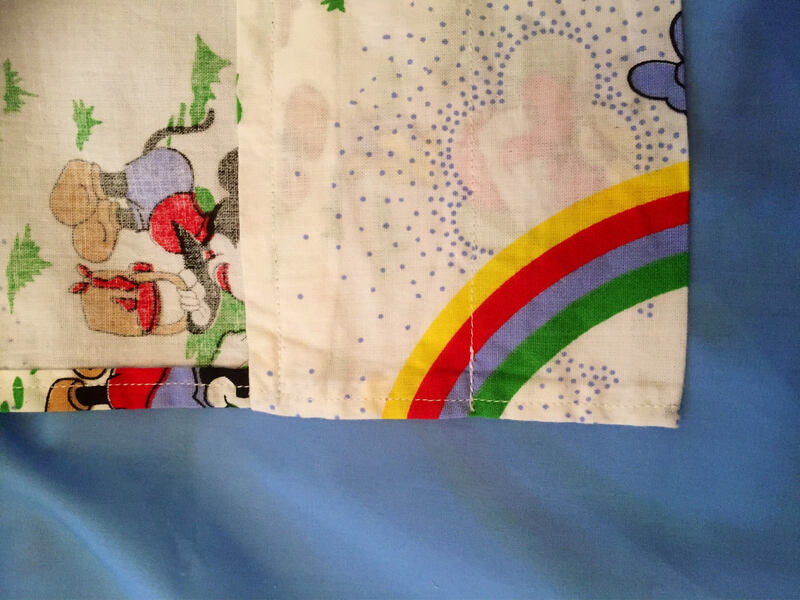 They have a extra blue cotton panel sewed on to that can be removed or used as part of the curtain. 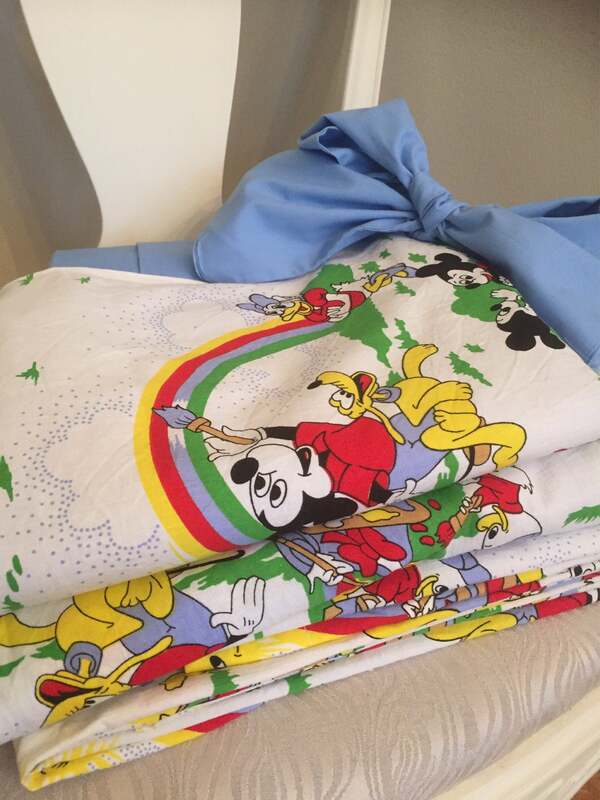 The Disney fabric measures 64cm wide and 224cm long. 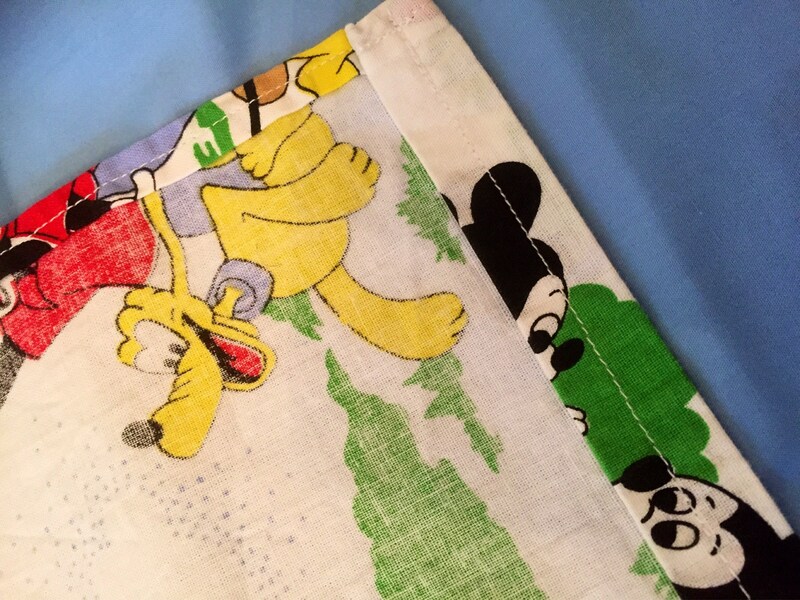 Because it is in such good condition it can be used for many different sewing projects if you didn't want to use them as curtains. 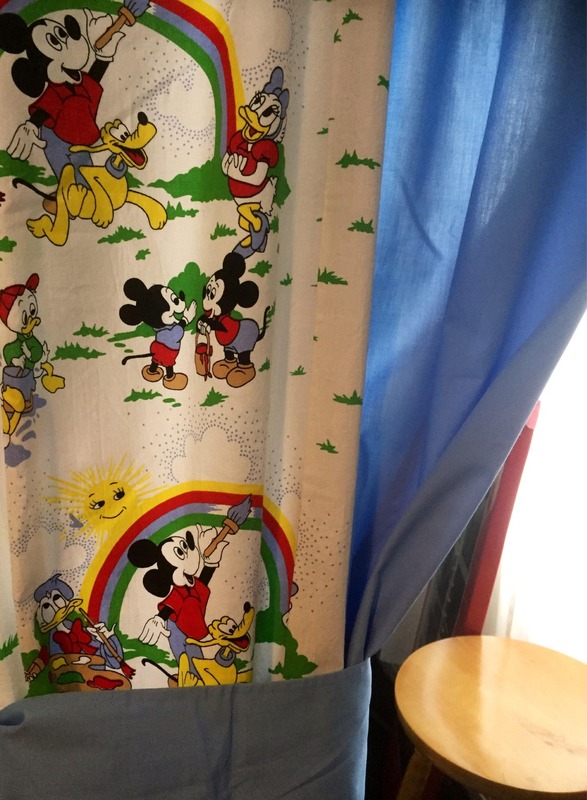 This Disney retro rainbow print brightens up any space. 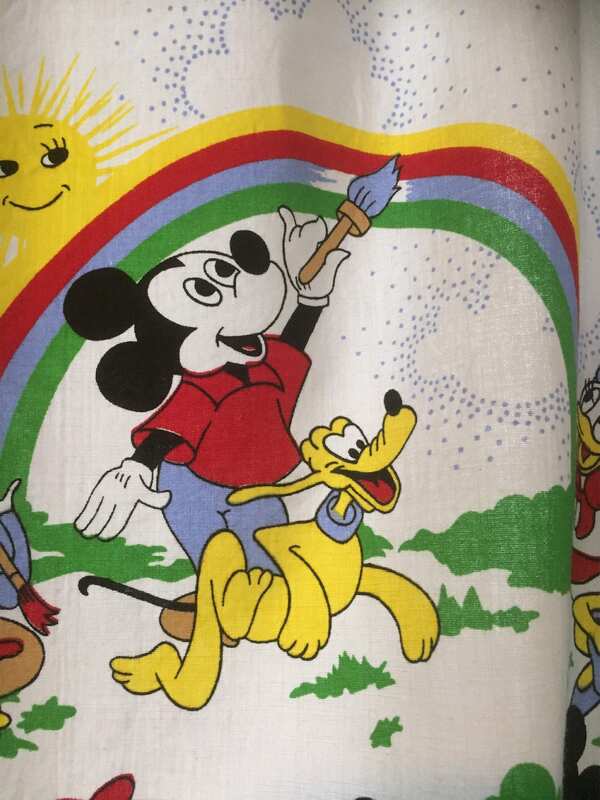 This price is for 2 sets of curtains.